The following downloadble presentations (Adobe PDF Format) explore the basics of continuous learning and modified calendars inlcuding what reserachers are saying about YRE, how the various calendars work and how multi-track calendars allow for more efficient use of school facilities 12 months a year. ...findings suggest that extending school time can be an effective way to support student learning, particularly (a) for students most at risk of school failure and (b) when considerations are made for how time is used. Over the last 20 years, many districts and schools have begun to explore year-round education or a modified calendar in response to student under-achievement in low performing schools. Here, the authors detail their two-year study of Title I, year-round, or modified calendar schools that switched from a traditional to a modified schedule in order to meet the academic needs of students. 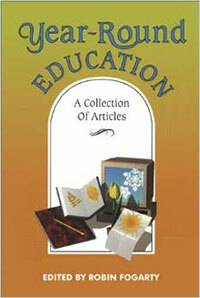 Research-based information and real-life examples are packed into this insightful collection. 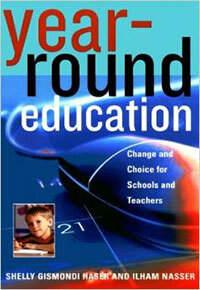 Use this reference piece to make informed decisions about year-round schools.